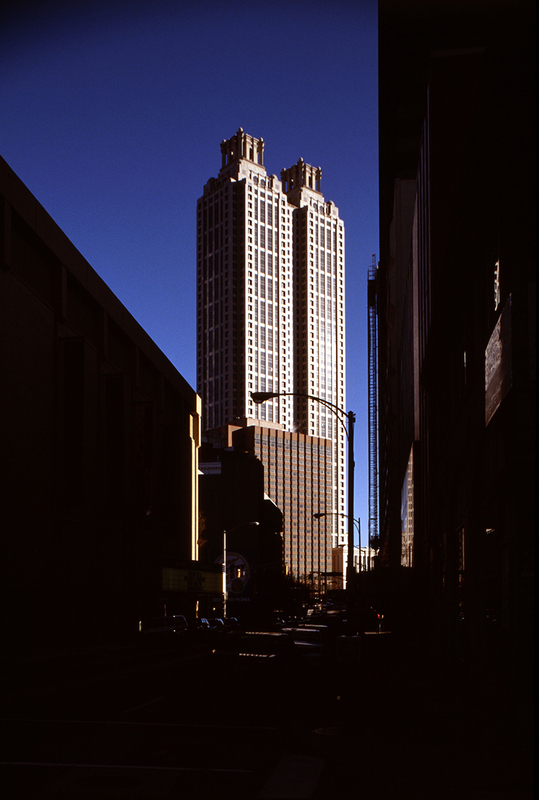 By shaping the floor plates and articulating the granite façade, Johnson and Burgee were able to create this single tower that reads as two twin towers – accentuating the vertical height of the 50-story building. 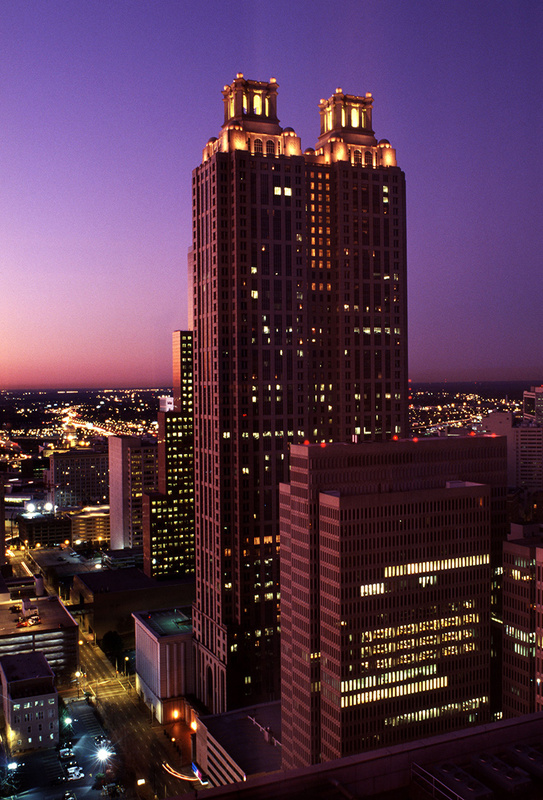 Each tower is crowned with a temple-like structure, giving the building a distinctive form on the skyline. 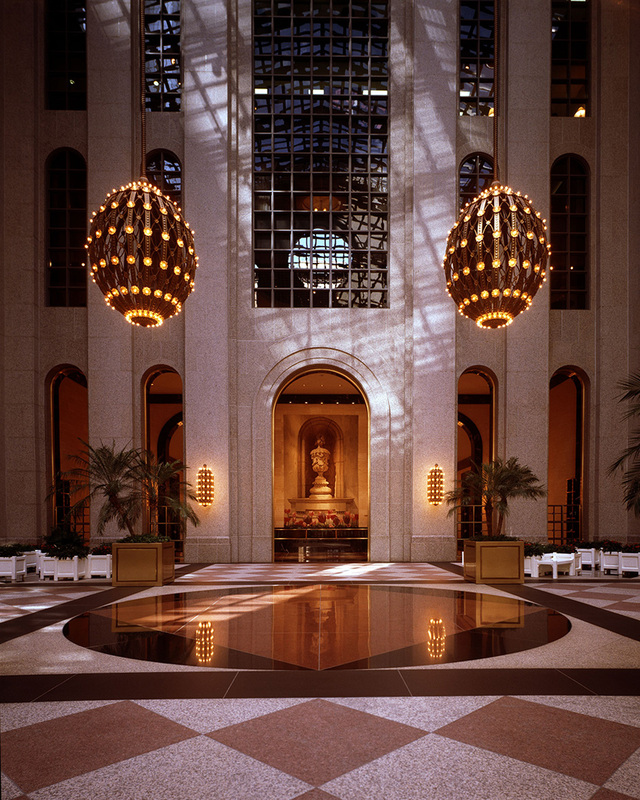 The primary entrance to the building is through a soaring, skylit atrium entry lobby featuring large scale pendant light fixtures modeled on the famous “Faberge Egg” design.